In an article on siliconafrica.com editor Mawuna Koutonin draws attention to remarkable aspects of the post-colonial relations between France and several African countries. Further details on amounts and terms of payment are announced as Koutonin recounts the circumstances of former french colonies becoming independent in the late 1950ies. 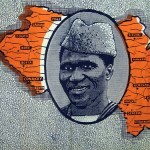 Starting with Guinea and the french-guinean break-up triggered off by president Ahmed Sékou Touré Koutonin follows historic events and names like Modiba Keita in Mali and Sylvanus Olympio in Togo. During that “turbulent period of African fighting to liberate themselves from European colonization”, France would – as Koutonin claims – “repeatedly use many ex Foreign legionnaires to carry out coups against elected presidents”.